I am having issues with pests! Please help. I need termite protection on my home! These mosquitoes are driving me crazy! Serving the Augusta area since 2009! 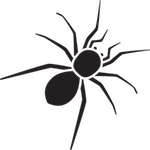 We offer a wide range of pest control services, value, and extraordinary service that is unmatched in the CSRA. We are members of the CSRA’s Professional Pest Control Association. 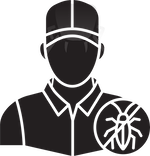 We employ the most highly trained staff to meet your pest control needs. Why is Sentricon the best termite control system available? By far the best company for pest solutions. I've used other companies around the area and was so happy to make the switch to Hargrove. They are always on time, work around your schedule, and care about your home as if it was their own. They cared about the safely of my infant son and dogs which is extremely important. Not to mention that I rarely see any bugs in my home. And if i ever do (usually in the summer months), they are happy to come back and spray more if needed. Great company and friendly employees, definitely use them! 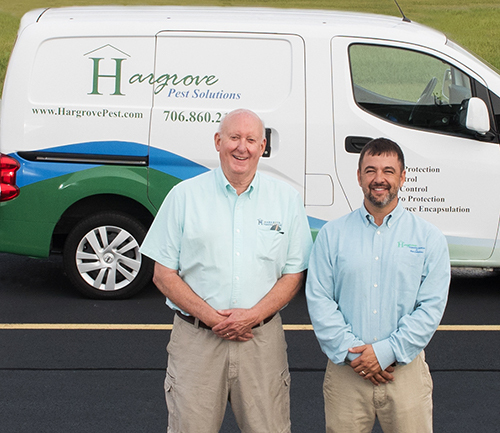 When Hargrove's saved us a ton of money by showing us problems in a home we were all set to buy before we signed the final check, we were so thrilled with their work that we chose them to do our pest control too. They are terrific people who stand behind their work and have solved all of our pest issues before anything has been able to damage our home. My family and I are so happy with Hargrove’s mosquito service – it’s incredible. We are able to use our back yard again and enjoy our new deck without being eaten alive! Its great to be able to entertain our friends outside and everyone is impressed. I think it’s very cost effective too – no more bug spray or candles to buy. Also, our dogs appreciate it as they would be bothered by mosquitoes. Their excellent customer service sold me on them after my first phone contact. When he arrived, I found the exterminator to be friendly, knowledgeable and respectful. This company is truly a professional team. My wife and I will highly recommend them to whoever ask about a pest control company. Thanks Hargrove for the great job you do. Mr. and Mrs. Rick and Kim Grubbs. We have been using this company for a few months now, and they are great! We had a roach problem, and the tech is very good at taking care of it. He looked over our entire house (including the crawl space) on the first visit, and told me what he would have to do to get ride of the bugs. He also answered all my questions in plain English. We had a choice of a one time treatment, or quarterly treatments. We were not forced into a contract. The office staff is very friendly and helpful whenever we need to call. I would highly recommend this company. I have used other companies in the past, but none came close to this one.